For whatever reason, man has always been drawn to the sea. It invigorates us, inspires our creativity and spirituality, and awakens our senses of wonder, curiosity, and exploration. People have long walked the shore in search of treasures washed up from far away. Now, visitors and residents of New England and northeast have this source to get them to them to the beach and tell them what they can expect to find. 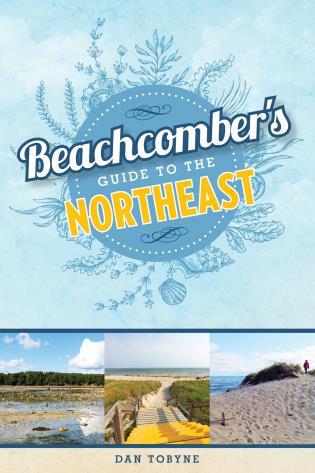 Covering the coast from Maryland up to the Canadian border, The Beachcomber's Guide to the Northeast describes every prominent beach, their makeup (whether sand or rocky,) and includes directions and pertinent facts about available amenities. The text also includes descriptions and photos of flora and fauna that might be seen, such as crabs, shells, birds, insects, even fish and whales. And of course there are the flotsam and jetsam that can be found, from driftwood to sea glass to beach stones and even shipwrecks. It's all covered here. There's even a section on pirates and pirate treasure. This is the book to bring the next time you head to the beach.